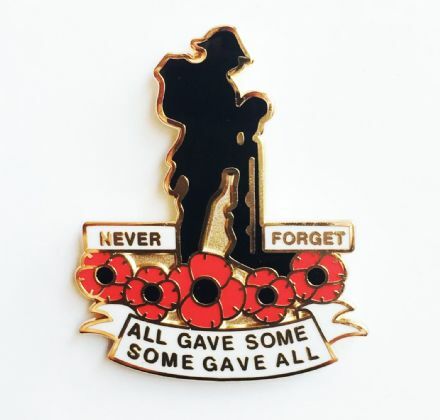 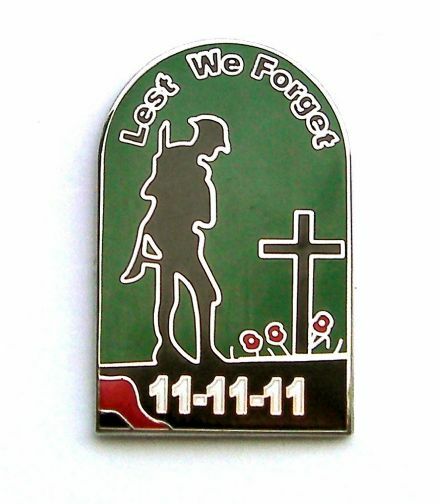 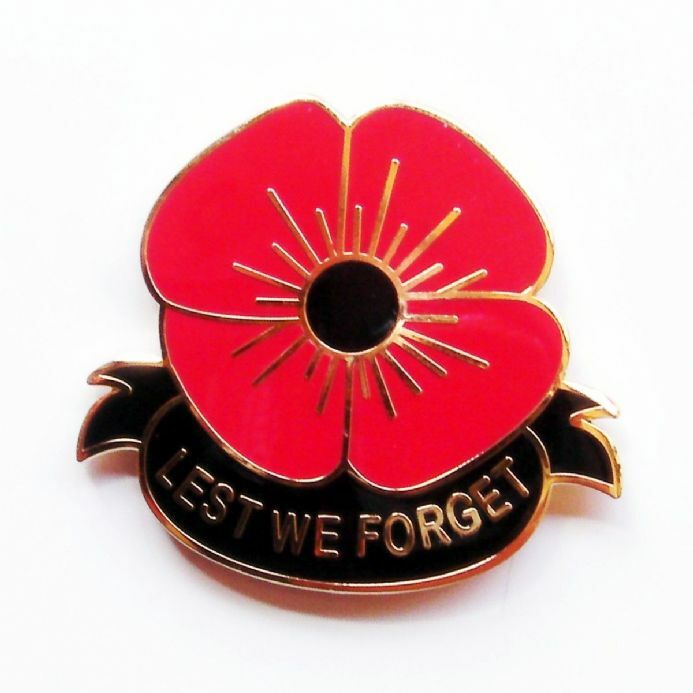 Metal and enamel lapel badge with Remembrance Day poppy design and wording "Lest We Forget" in gold lettering. 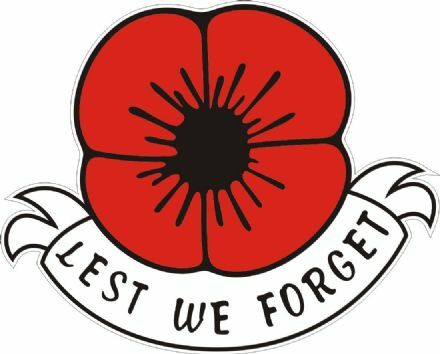 Poppy Car Window Sticker "Lest We Forget"
Featuring remembrance poppy logo and wording "Lest We Forget". 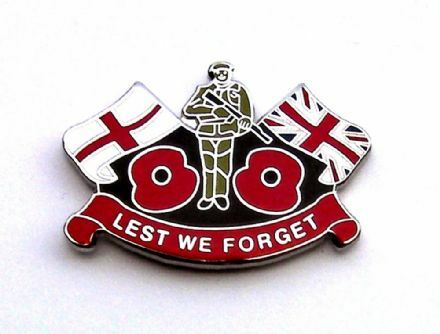 Car rear window sticker printed on to top quality self cling vinyl. 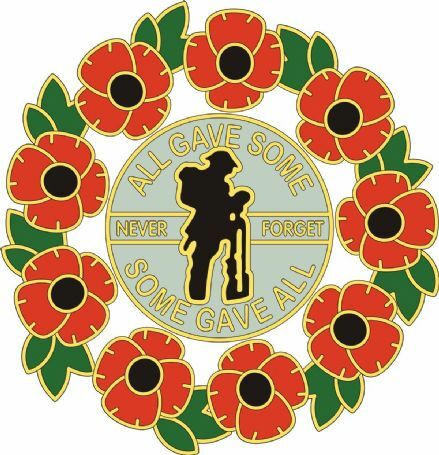 Featuring soldier and poppy wreath logo with wording "All Gave Some, Some Gave All". 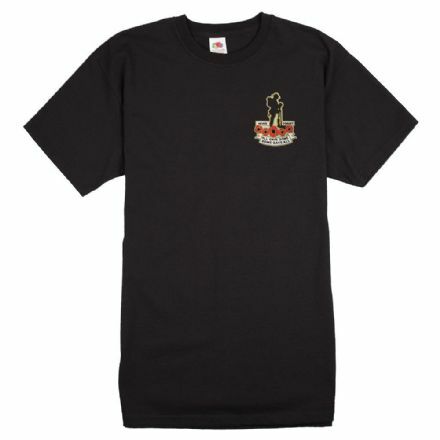 Rear window sticker printed on to self cling vinyl.